Distances: Parking, registration, start and finish will be close to event centres (will be specified in Bulletin 2). Entries: Till 9 May 2016 by registration system www.orienteeringonline.net (Saturday, Sunday) or by sending email on address janfurucz@gmail.com (entry is valid after confirmation). It is necessary registry separately for each competition. Prizes and ceremony: The first three competitors in general classification each round of European cup will be awarded by practical prizes. Overall winner (Saturday and Sunday competitions) will be awarded by special price (Virtual-O license and Android tablet 8″). Overall PARA winner (Saturday and Sunday competitions) will be awarded by special price (Android tablet 8″). The first three competitors registered in Slovak and Czech orienteering association will obtain diplomas, medals and prizes in Slovak and Czech championships. The ceremony for PreO part will be scheduled on Saturday as soon as possible. The ceremonies for TempO part and overall results will be defined later, because organizers ETOC 2016 asked us for the earliest possible ending of the race due to Sunday’s opening ceremony (sufficient time for transfer to event centre of ETOC 2016). We will evaluate the timing and results over electronic measurement so we assume that the ceremony will take place as soon as possible after the end of the race, or in ETOC 2016 event centre. 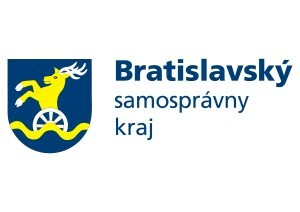 Rules: Competition will be carried out in accordance to the current rules of Slovak Orienteering Federation – TrailO section (based on IOF rules with small insignificant deviations). Map: Red Stone Castle – TrailO, 1:4000, E=2m, ISSOM, March – May 2016. Terrain description: flatter part of the mountain Small Carpathian with lots of small rocks in a wooded part – deciduous forest with diverse land forms, castle areal and near park. Forest paths with mostly firm surface. Course: Course will be separated in 2 parts, distance 1,5 – 2 km, number of controls: 25 (+-3), number of time control 1(2) x 1(2). Same course for all classes. Punching system: Times and answers will be measured/recorded by SportIdent. Time controls will be measured on ANT. Results: Online results after each time station and each course part in centre. Organizing committee: Event Director and Main Referee: Ján Furucz, Event Course Setters and opponents: Dušan Furucz, Ján Furucz. Start: very early, probably about 8:00 – 12.00 (due ETOC 2016 opening ceremony). Special requirements for start time write in the application. Map: Borský Mikuláš 2016, 1:4000, E=2m, ISSOM, revised – April 2016. Terrain description: Typical flat terrain for lowland Záhorie – pine forest with sand dunes. A forest path with mostly firm surface but on some places is sand surface. We recommend assistants for wheelchair competitors. If necessary, we will provide assistant (in limited quantities). Course: distance 1,5 – 2 km (asphalt in first part, unpaved forest paths in second part, in places with worse quality), number of stations: 8 x 4 (+-1). The format can be changed according number of participants – will be defined in Bulletin 2. Same course fo all classes. Punching system: Times and answers will be measured/recorded on ANT. The referees will record time and answers on tablets or smartphones and they will write answers and measured time to the competitor cards for confirmation next. Results: online results (in centre) after each timed stations. Organizing committee: Event Director and Main Referee: Dušan Furucz, Event Course Setters and Opponents: Ján Furucz, Dušan Furucz. TrailO – light training (free entry) for beginners: demonstration 2-3 control. MapO – demo (free entry) in new discipline – parallel with other disciplines (briefly – it is an opposite way of precise orientation when the flags in the field will be drawn in the maps, and the most precise draw of control points wins). The event will not be evaluated and it will serve only as training. 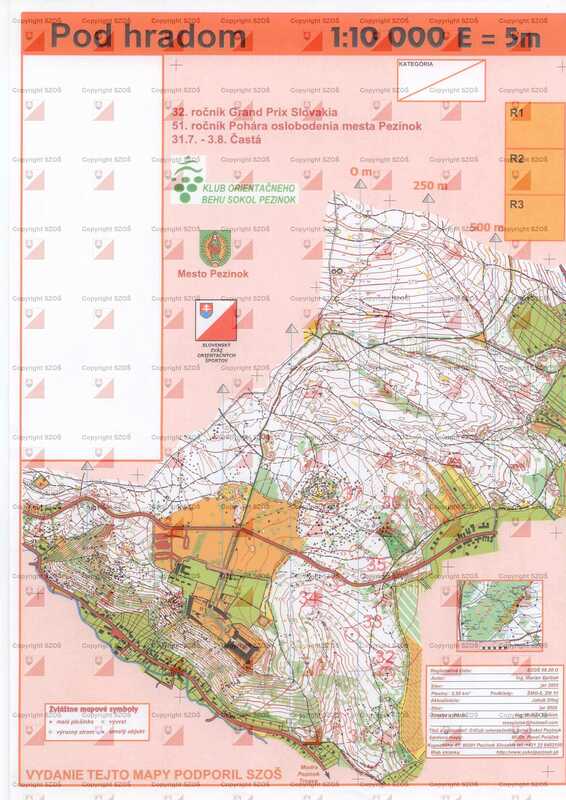 Middle – Slovak ranking competition in foot orienteering. Middle near castle Červený kameň in rocky terrain in deciduous forest with diverse land forms on Saturday morning (will be specified later). 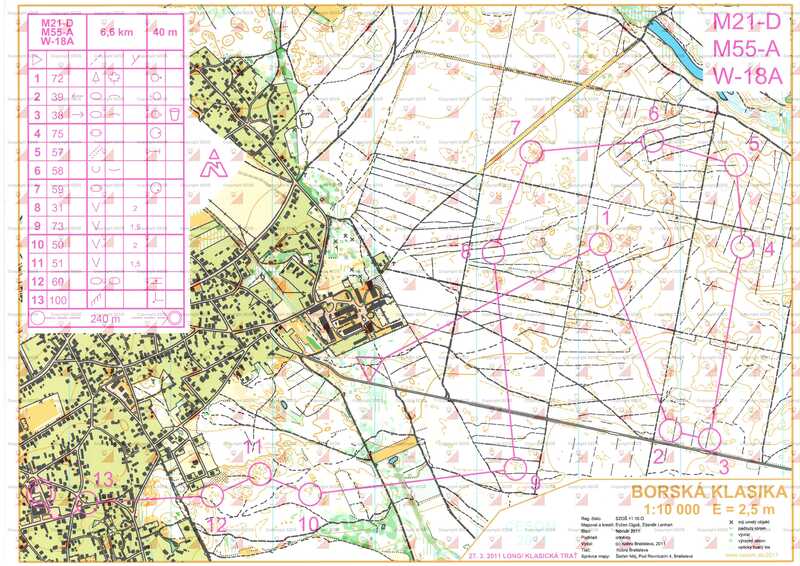 Sprint – Slovak ranking competition in foot orienteering. Sprint in the castle Červený kameň area on Saturday afternoon (will be specified later).